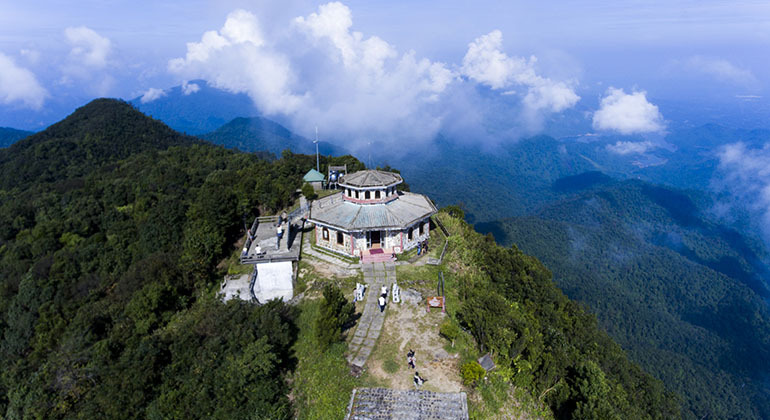 Transfer from Danang to Bach Ma National Park by car with professional driver will take roughly 1.5 hours (63 kilometers) when traveling directly but there are so many must-see stops along the way that it’s a shame if you will skip it! Danang to Bach Ma transfer has now become the most preferable mode of transport. 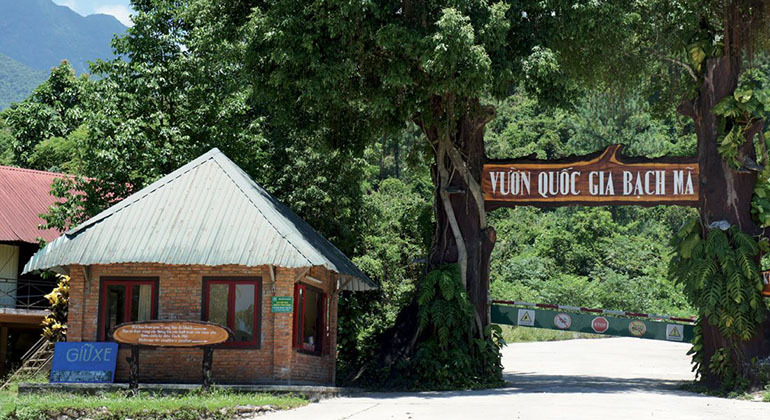 Unlike taking the train or bus, having your own private car from Danang to Bach Ma National Park makes everything easier, convenient and cheaper in the long run and also give you a chance to know more about the local life, Vietnam Culture. Private car from Danang to Bach Ma National Park is safe, smooth, comfortable and most importantly, you can design your own trip! Join VM Car on a memorable journey of coastal and mountain landscape of Central Vietnam. Lang Co Beach – Located just north of the Hai Van Pass, Lang Co Bay is an unspoiled beauty – a small coastal town offering an array of local beach restaurants and cafes. It been named one of the most beautiful bays in the world and without doubt one of the best in Vietnam. 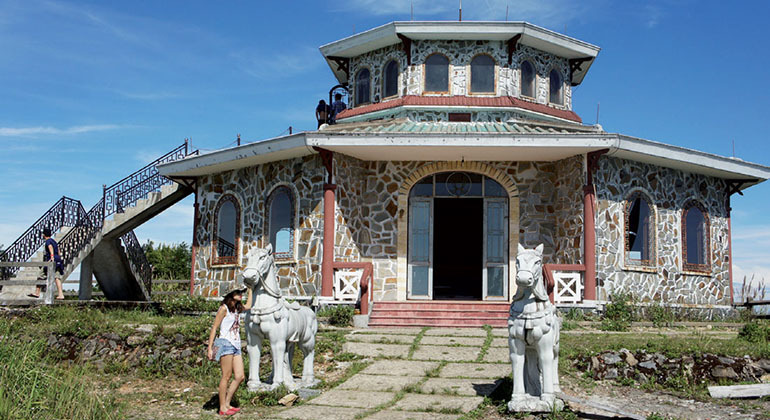 Lap An Lagoon – Renowned for its fresh oyster farms and beautiful scenery, this 22,000 square hectare lagoon is domestic to many types of animals and aquatic vegetation. Lap An Lagoon sits just west of Lang Co Beach. 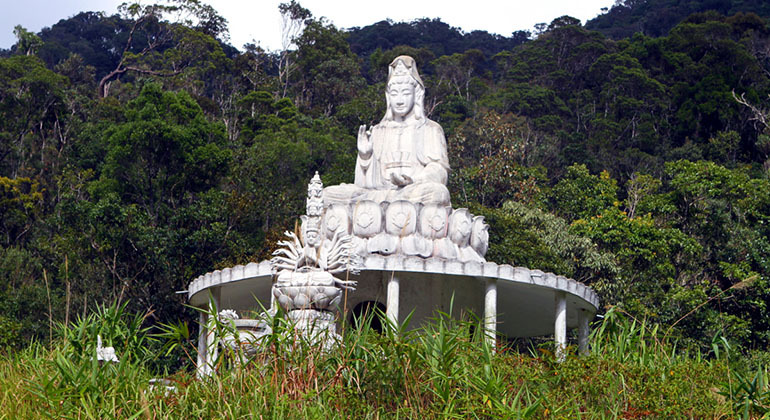 Bach Ma National Park – is famous as an ideal resort for tourists to relax and explore the wild beauty of nature. 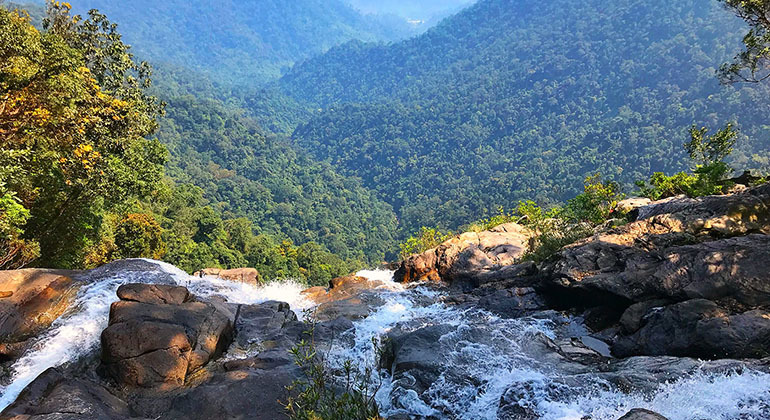 The Bach Ma Summit Tower is perfect for panoramic viewing of the Hue province and Do Quyen waterfall is a beautiful and majestic waterfall of the national park. After stopping at all your requested destinations, our experienced and friendly driver will drop you off at your hotel in Danang! Tour Guide is not included in the service. 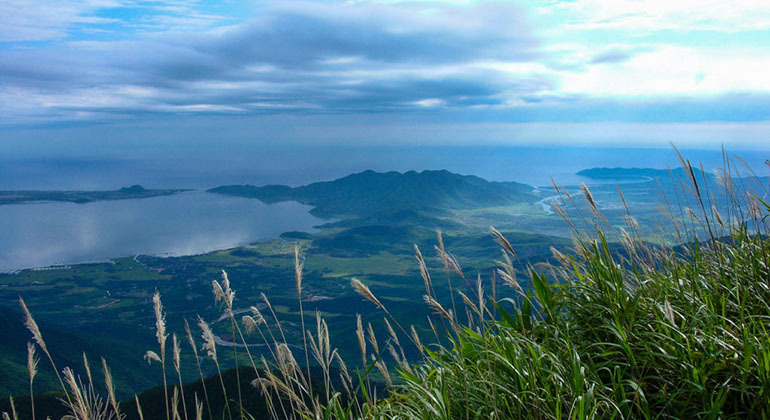 1.Does your company have limited time to visit if we want to rent a private car from Danang to Bach Ma National Park? 2.This price is the price per person or per the private car? 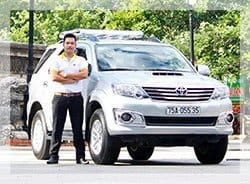 – For the private transfer such as Danang to Bach Ma, that price per car not person which included an English speaking driver; 24/7 chat, email or call support; toll and airport fees and charges, door to door service; free Wi-Fi on board and bottle of water. 3. How long does it take from our hotel in Da Nang to Bach Ma National Park by car? The transfer from Da Nang to Bach Ma, It takes about 1.5 hours if you go direct but if you want to stop for taking pictures at many places on the way it would be longer than. And actually it depends on how long you spend time for each stops. 4. What happen if unfornately we canceled the transfer from Da Nang to Bach Ma National Park? You can cancel your booking without any fees charge with the private car from Da Nang to Bach Ma national park but only for one day before your trip starts. After that time, you’ll pay for the fee charges. 5. Does your driver can speak English if we want to know something during our trip from Da Nang to Bach Ma by car? Yes, they can. We are always so proud of our drivers who can speak Basic English communication or better but they are not tour guides so they have limitation. 6. 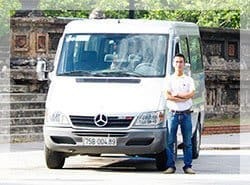 Where will we meet our driver for the trip to Danang from Bach Ma? 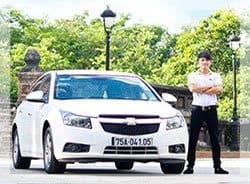 With Danang to Bach Ma transfer, all drivers wear our company uniform and will inform your hotel reception upon their arrival. The booking confirmation email also states information regarding pick up location, time and date of our rental. In case you are not still able to reach the driver or locate the office, you can anytime get in touch with our support team via call or email. The transfer from Da Nang to Bach Ma national park was arranged through vmcar. The car picked us up on time and was a really comfortable SUV. The driver, Anthony Mai was excellent. Anthony took us to the places of interest on route and was in no hurry to rush us. He spoke good English and gave us an insight into Vietnamese life today. We would recommend vmcar and Anthony to everyone that is thinking of doing this trip! Used a private car from Da Nang to Bach Ma national park. 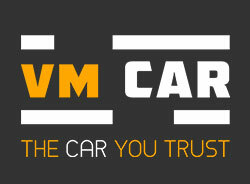 We had an excellent experience with VM Car. He arrived promptly at the agreed upon time to take us to Bach Ma. The driver speaks English. He is quite knowledgeable. We recommend this service. His price was fair. Careful driver. Good car. My son and I used “Danang to Bach Ma National Park by car” as a transportation service. We hire a private 4-seat car after we had contacted Ben, VM Car’s agent, via email and then traveled there with our driver, Dung. In my point of view, Dung and Ben were very knowledgable, well-mannered and helpful. They made everything more relaxing, convenient and easier. Furthermore, they spoke English very well. Therefore, we communicated with each other without difficulties. I definitely recommend VM Car to my relatives and my friends who are considering Vietnam as their next getaway. Once again, thank you for what you have helped us out!